Do you have an outfit that can easily go from a fun luncheon with friends to a dinner date? Most of the time I find myself running in to either change shoes, shirts, pants to skirts . . .etc. But with this little number it fit perfectly All. Day. Long. No change of shoes required . . .
No change of shirts . . .
No change from pants to a skirt . . . It just fit the bill all day long. Outfit details: pants and sweatshirt style shirt-jcrew, necklace-banana republic, shoes-banana republic (although I should say this entire ensemble came from my closet because its all from last season just newly mixed together) GO SHOP YOUR CLOSETS * It’s so much fun! Pretty look! 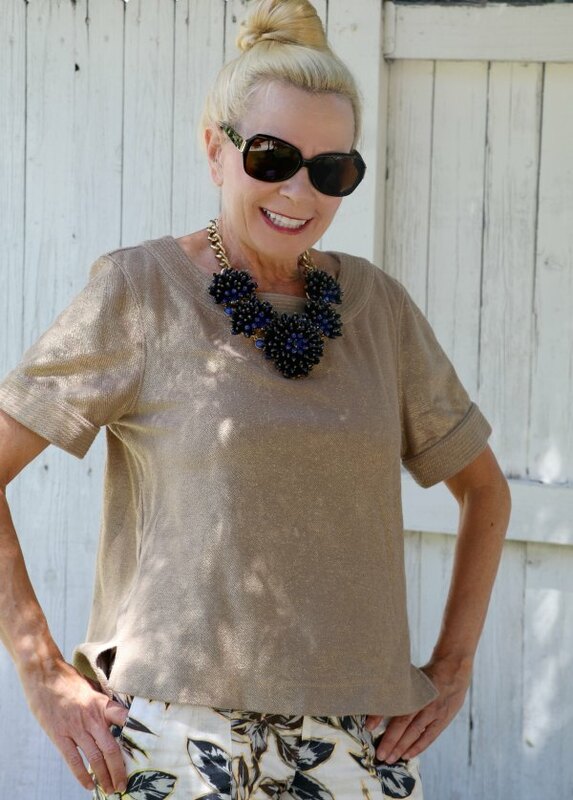 Love the printing pants and that fun necklace, navy right? Yes, I have a sundress I wear for brunch today and could just change shoes and accessories. This is a fun outfit Trina!! I’m a huge fan of print pants lately and these are quite perfect! Love the whole look! Fabulous! 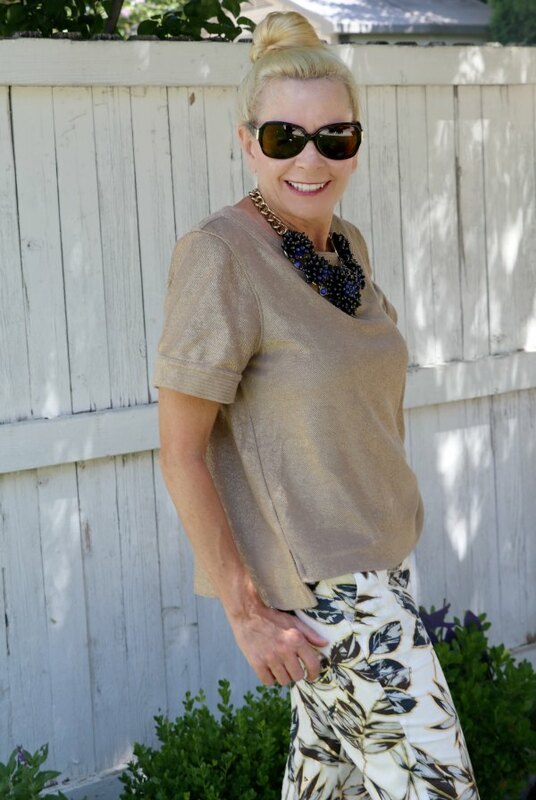 I love an outfit that can go from day to night – the top you paired with the patterned pant is perfection! I love this print and wanted to get something in it but nothing worked for me. Great look!